Where do those weird Chicago place labels on certain maps come from? Andrew Huff pointed out some archaic neighborhood names he saw on a map that was generated using Carto. 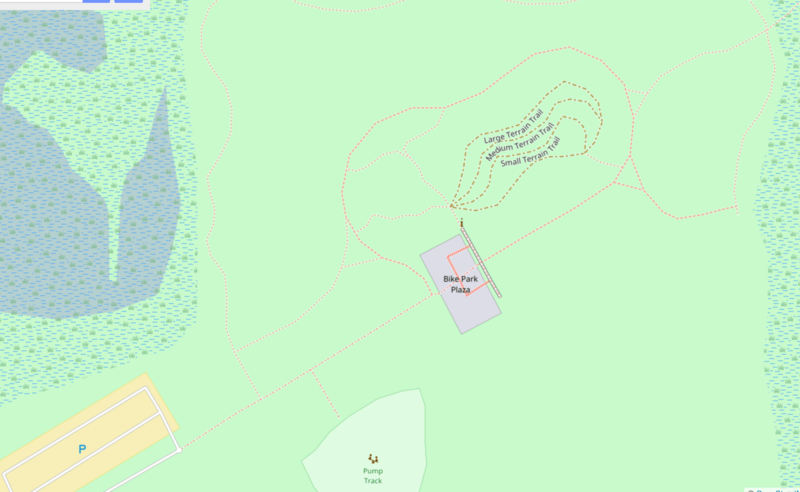 The company’s map “tiles” use free and open source data from OpenStreetMap, “the Wikipedia of maps”. I’m going to tell you where these names come from! First, we have to find that place name in the OpenStreetMap database, after which we can discover its provenance. The best way to do this is to search Nominatim, the “debugging search engine” for OSM. I searched for “Summerdale” because that sounds unique. The fourth result is the right match, so go ahead and open that place name’s details page. That details page still doesn’t tell us what we need to know, but there’s a link called that starts with “node” that leads deeper into the OSM database. On the page “Node: Summerdale (153430485)” there are a bunch of “tags” that describe this place’s record in the OSM database. Some of those tags start with “gnis”, which is an abbreviation for “GeoNames Information System”, commonly shortened to GeoNames. GNIS is managed by the U.S. Board of Geographic Names, which is part of the United States Department of Interior’s U.S. Geological Survey (commonly known as USGS). There are four results for “Summerdale” in Illinois, and two are in Cook County, and one of these is a church, and the other a “populated place”. We want the populated place result. 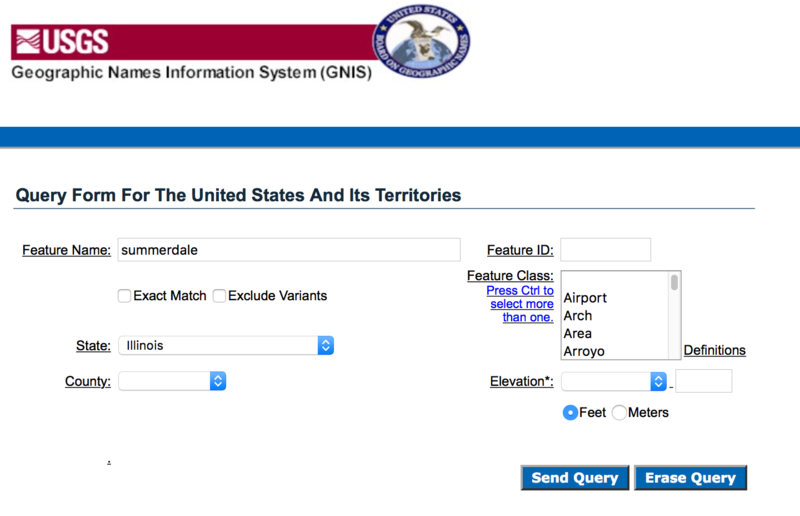 Here’s where our journey ends, because this result page tells the citation of how “Summerdale” got to be in a United States federal government database of place names. You can find that book in the Newberry library. Request it on their computer and a librarian will fetch and bring it to you. I did that in 2015. During the 1870’s and 1880’s, Uptown was still predominantly open country. The area east of Clark Street, from Montrose to devon, was a farming community. At each of the station that had been opened on the Chicago and Milwaukee line –at Argyle, Berwyn, Bryn Mawr and Devon Avenues–there were a few frame residences. 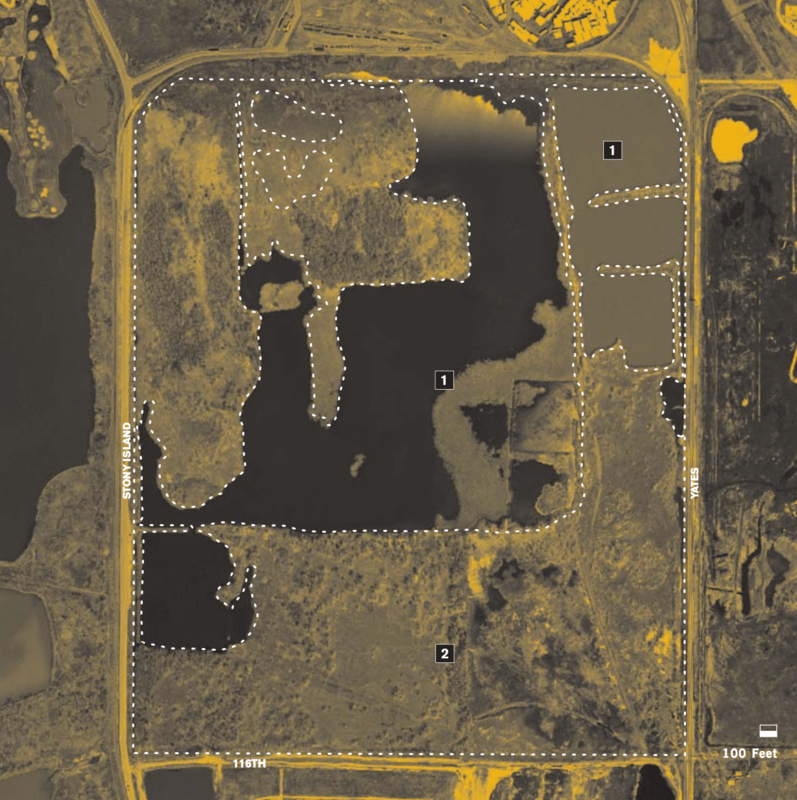 West of Clark Street, a substantial portion of the land was swampy. Scattered settlements, chiefly the frame cottages of railroad employees, appeared along the Northwestern railroad tracks. An important factor in the growth of this area was the opening of the Ravenswood station at Wilson Avenue. The opening of another station on this line at Foster Avenue, eventually gave his to the settlement of Summerdale. I haven’t answered Andrew’s other question, on why Lincoln Square or Uptown, official community areas with permanent boundaries, don’t show on Carto’s map. That’s because no one has imported these boundaries or these place names into OpenStreetMap. You can do it, and here’s how. A new bridge over Halsted Street, opened in 2012 spanning the North Branch Channel on the west and north sides of Goose Island. I found this document listing what appears to be all Chicago streets, their locations (relative to the Chicago grid whose origin is State/Madison), previous names, and namesakes. I doubt it’s hard to find, but I wasn’t looking for it. In fact, I was searching with queries people used before they came across Licensed Chicago Contractors. Halsted Street, which I often tell people is my favorite street because it goes through so many neighborhoods (with lots of gaps and railroads in between), was named after “two New York brothers William and Caleb who helped to develop the west end of the Loop.” William Butler Ogden, the first mayor of Chicago, named it. Halsted Street was previously known as Egyptian Road from 1830 to 1837. A screenshot of Halsted Street in the document. What modernism should we preserve? Ed. note: This post is written by Ryan Lakes, friend and architect. Goldberg’s Marina City towers are a couple of my favorite buildings in Chicago, but all of the discussion about preserving Prentice Women’s Hospital – designed by Bertrand Goldberg – has left me conflicted. The following is my response to the video above that was originally posted on Black Spectacles. When we figure out how to easily move old, significant buildings that are no longer wanted by their owners and occupants, to museum-cities made up of the old masterpieces that have since fallen out of use or favor, then we will have the luxury to preserve them like books, paintings and sculptures. To me, large buildings are more like trees than art. Occasionally the great old fall to make way for the young. There is no moving them. And as time passes, individual systems age and decay, and evolution leads to new, often more efficient ways to compete for space and resources. Prentice Women’s Hospital is slated for destruction by its owner, Northwestern University. Photo by Jeff Zoline. Contemporary architecture has a new set of more complex criteria to respond to than what was included in original modernism’s scope. With form ever following function, in modernism, as functions change, so too shall the forms. Is modern architecture able to do so? How do fans of modernist buildings plan to preserve them as fuel prices rise and the desire for energy efficient buildings increases? What else besides their structure is not obsolete? Let’s not forget that the time of modernism was when most thought our resources were unlimited, that it was better to leave our lights on 24 hrs a day to save bulbs, and that it was better to employ machines to fabricate our buildings rather than our neighborhood craftsmen. Photo of Zurich Esposito at protest to save Prentice by David Schalliol. Updated June 5, 2011: New information obtained from the alderman’s email newsletter; new design suggestions added based on comments. Please read the discussion in the comments below or the discussion on The Chainlink. Tony Arnold of WBEZ reported Saturday morning, seemingly based on Alderman Reilly’s latest newsletter (see below for excerpt), that Kinzie Street will be the location of the city’s first protected bike lane. OLD: He didn’t mention the extents but I bet on the west end it will be at Milwaukee Avenue and Desplaines Street (see photos of this intersection below), where thousands of bicyclists per day come downtown from Milwaukee; on the east end it would be either Wells Street (a one-way, southbound street), which has a treated metal grate bridge and bike lane, or State Street (a two-way street), where the bridge is completely covered in concrete. To Wells Street is 0.53 miles, and to State Street is 0.84 miles, using the measurement tool on Google Maps. NEW: The extent is from Milwaukee Avenue and Desplaines Street to Wells Street, a distance of 0.53 miles. I’m excited that the Chicago Department of Transportation (CDOT) chose a good location, even though I don’t think this location meets either of my two criteria: that it attract new people to bicycling for everyday trips and that it reduce the number of crashes. It will do both, but only because that is intrinsic of this kind of infrastructure. The kind of bikeway will have more effect on this than the location. People who will use this protected bike lane are already cycling on Kinzie Street and there’re very few crashes here (there were 6 in 2007-2009). So what makes Kinzie Street in River North a good location? People will be riding and using it from Day 1. It’s a place where people are already riding. After a month, and after a year (heck, after three years), no one will be able to complain of its lack of use. For detractors, this is a main point used to advocate for bikeway removals. There are low barriers to implementation: there’s a very supportive Alderman, the road is wide, and low automobile traffic (this is my observation; there’re no traffic counts recorded on the City’s website). Problem 1: Improve the intersection at Milwaukee, Desplaines, and Kinzie. Going southbound on Milwaukee at this intersection, you are presented with two lanes. One that is “left turn only” and has a left turn signal, and one wide lane that is for “straight”. But there are three directions to go. One can turn right onto Desplaines, turn left onto Desplaines, or go straight with a slight left into Kinzie. In which lane do you position yourself and which signal do you follow? Actually, which signal to follow is easier because there’s a green right-turn light, and a regular through light. It’s really the lane and positioning that matters. Possible Solution: This could be made more clear with a bike-only left turn lane (like this one at Milwaukee/Canal/Clinton) with a bike signal head (not sure if a bike-only phase in the signal cycle will be necessary). Problem 2: Drivers in the right-most northbound lane on Desplaines may try to turn right into Kinzie and this will cause conflicting movements with bicyclists entering Kinzie from Milwaukee. Possible Solution: Ban right turns on red at this corner (but probably all corners) and enforce the ban. Problem: The bridge over the Chicago River has an open metal grate deck – these are very dangerous for bicycling, especially when wet. Possible Solution: Treat them. Use concrete infill, non-slip metal plates, or non-slip fiberglass plates. Problem: The signed bike route signage is too late for bicyclists to base their turn decision on. The sign is at the intersection (see photo) and those who want to turn left towards Wells Street will then have to make a box turn instead of being able to make a left turn from the left turn lane. Possible Solution: Install two signs, one before and one after the railroad viaduct which is north of this intersection along Milwaukee. The signs should say reach Wells Street via the Kinzie Cycle Track and position yourself in the left turn bike lane. Problem: The bridge seam on Desplaines at the south end of the intersection is extremely wide and deep. While not part of Kinzie, this problem could be fixed in the same project. Possible Solution: Without reconstructing the bridge seam, I’m not aware of what can be done. Install a bike box at the intersection at westbound Kinzie at the top of the hill. Where thousands of bicyclists will probably start their journey on the Kinzie Street protected bike lane. I took this photo to try to demonstrate the confusion of where to position one’s self at the edge of the intersection if you want to travel “straight” into Kinzie Street (with a slight left). Do you put yourself in the left turn lane, or just to the right of the left turn lane? This is history in the making – for Chicago only, of course. (These cities already have protected bike lanes.) Keep your eyes peeled for subsequent construction.